JAY-Z Dethrones Diddy as World's Richest Hip-Hop Star with a Net Worth of $900 Million - Integration Through Media ....! 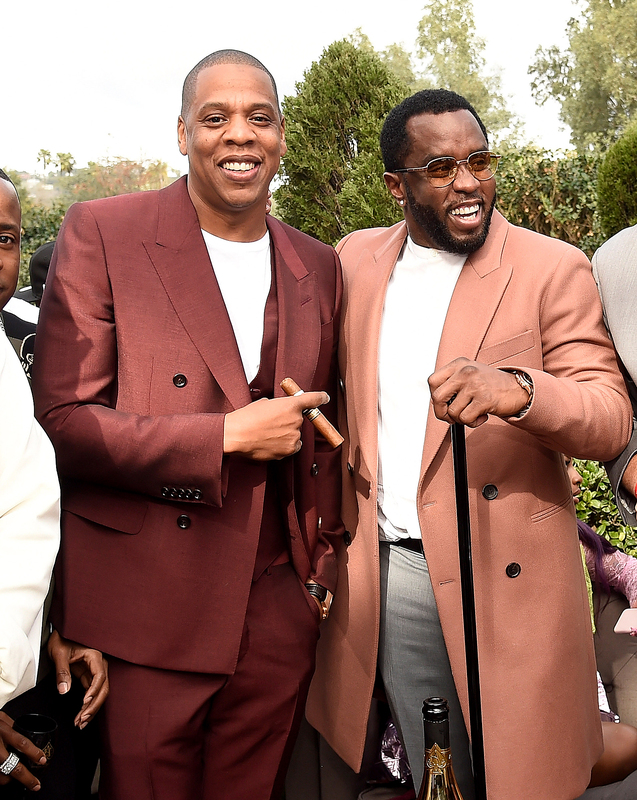 It seems JAY-Z‘s business hustle has paid off after Forbes listed him as the top-earning hip-hop artist of 2018, dethroning Sean “Diddy” Combs who came in at No. 1 in 2017. This is the first time in seven years that Diddy hasn’t been in first place. The magazine reported the “Hard Knock Life” rapper, 48, had a net worth of $900 million, elevating his worth in the last 12 months by $90 million. The increase came mostly from the rising value of his interests in Armand de Brignac champagne and D’Ussé cognac, as well as ownership stakes in Roc Nation and his Tidal music streaming service, according to Forbes. Diddy, also 48, is ranked second on the list with a net worth of $825 million. He also has major investments in liquor brands, including his DeLeon Tequila label, as well as his stake in Ciroc vodka. Rapping legend Dr. Dre, 53, came in third with an estimated worth of $770 million, with Forbes reporting it’s due in large part to Apple’s $3 billion purchase of his Beats headphones in 2014. Eminem, 45, and Drake, 31, were tied for fourth place, with each having a net worth of about $100 million. It is Eminem’s first time on the list and he’s sure to earn more as he is back on tour for his Revival album. Drake is the youngest man on the list and has an equity interest in the liquor company, Virginia Black whiskey, as well as estates in Canada and California.